You could have the chance to win $100,000 at the 2017 Gildan Triple-A National Championship Game and appear on NBCSports! 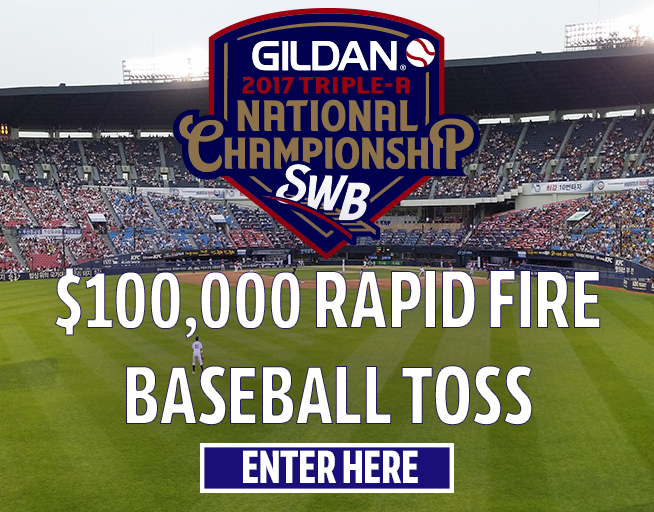 Register HERE for the chance to become a qualifier to win $100,000 at PNC Field during the Gildan Triple-A National Championship Game. A winner and runner up will each be chosen from entries, and each will receive a pair of VIP tickets for the game. The lucky winner who takes the field will get a minimum of $500 and appear in the game broadcast on NBCSports.